The Shanny SN910EX-RF is the first flash in the 2.4GHz 'Wireless Creative Lighting System' for Nikon. Still waiting for Nikon to bring radio to the Creative Lighting System? Shenzhen-based flash maker Shanny has got so impatient that they did it themselves. 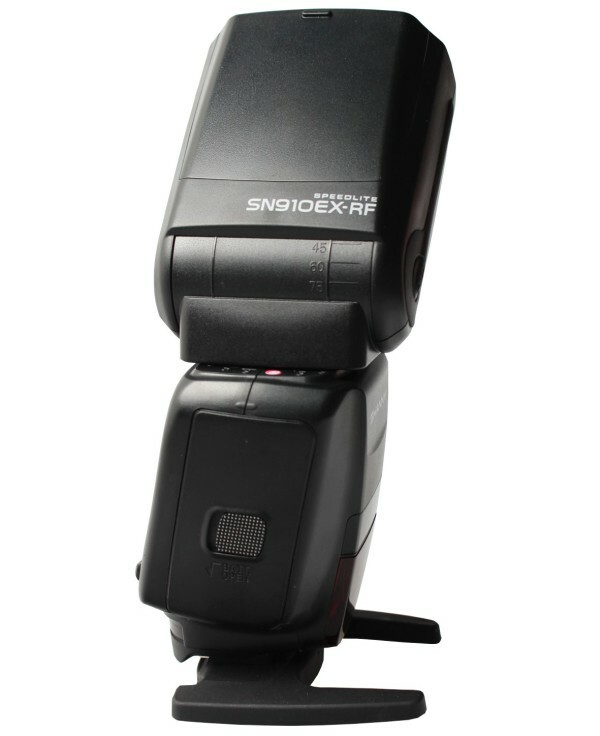 The Shanny SN910EX-RF is an i-TTL speedlight with master and slave control via 2.4GHz wireless signals. 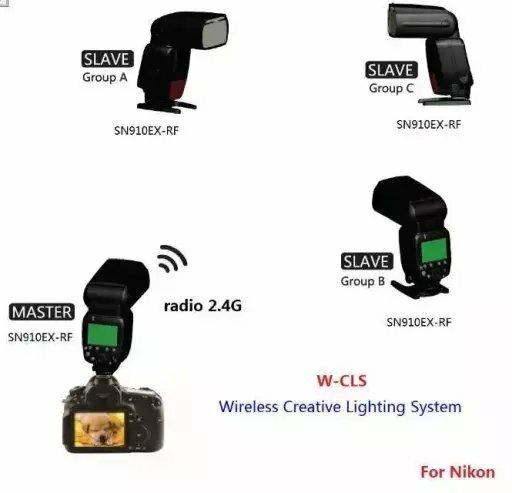 Shanny’s so-called W-CLS, or Wireless Creative Lighting System is (unless they know something we don’t) an aftermarket radio protocol for Nikon-compatible flashes. The SN910EX-RF is the for-Nikon equivalent to Shanny’s SN600EX-RF for Canon though there is no word on an SN-E3-RF-style controller for Nikon yet. 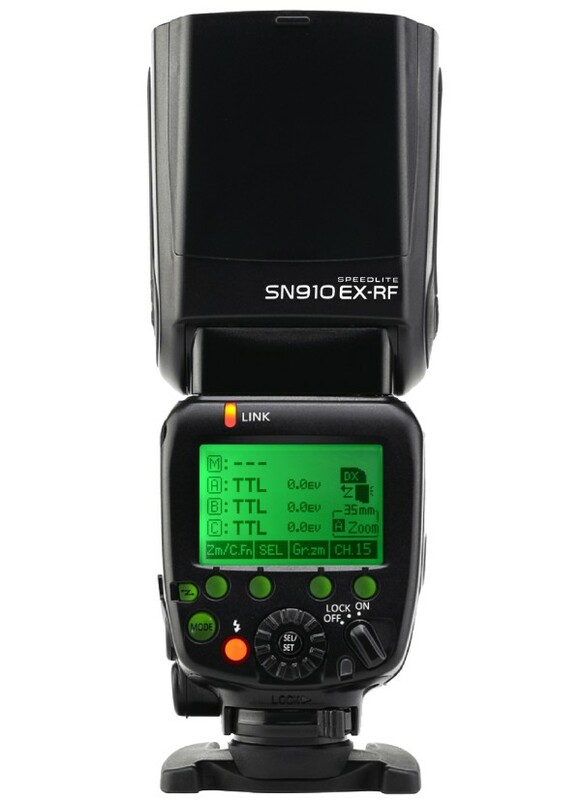 Using the SN910EX-RF, you have a capable on-camera TTL flash, or with several of them a wireless flash system with three independent flash groups and range of up to 50 metres. An on-camera SN910EX-RF acts as master and controls the power and settings of your remote SN910EX-RFs, as helpfully demonstrated by Shanny in their diagram below. The radios in the SN910EX-RF are presumably similar to those in the SN600EX-RF and SN-E3-RF but they may or may not be compatible. According to the manufacturer, the Shanny SN910EX-RF is a “world first”. For its own W-CLS system, perhaps, but other radio-enabled Nikon flash options include the Phottix Mitros+, Nissin Di700A and Pixel X800N Pro. Pricing and availability have yet to be announced, but expect pricing on par with the Canon equivalent, the SN600EX-RF, which currently retails for US$125 to $150 on eBay. Edit: UKphotodistro has the SN910EX-RF listed for £170 including VAT. A full hands-on review of the Shanny SN910EX-RF is in the works. For more information, visit szshanny.com.